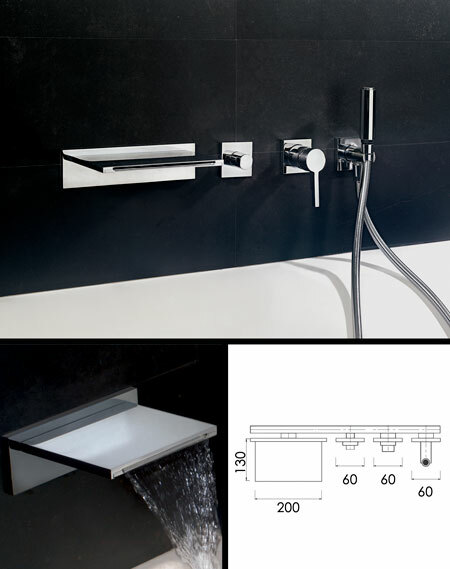 The Waterblade bath filler tap adds contemporary styling to designer bathrooms. With an impressive 200mm wide waterfall spout, a single lever mixer control tap, and handy hand held shower head with a diverter to switch the water flow, this 4 piece wall mounted bathroom tap set adds style and quality to any bathroom. This bath filler is part of a full collection of designer bathroom fittings. * Part of a full tap fittings range.